A dead camel thorn tree in Deadvlei, Namibia. 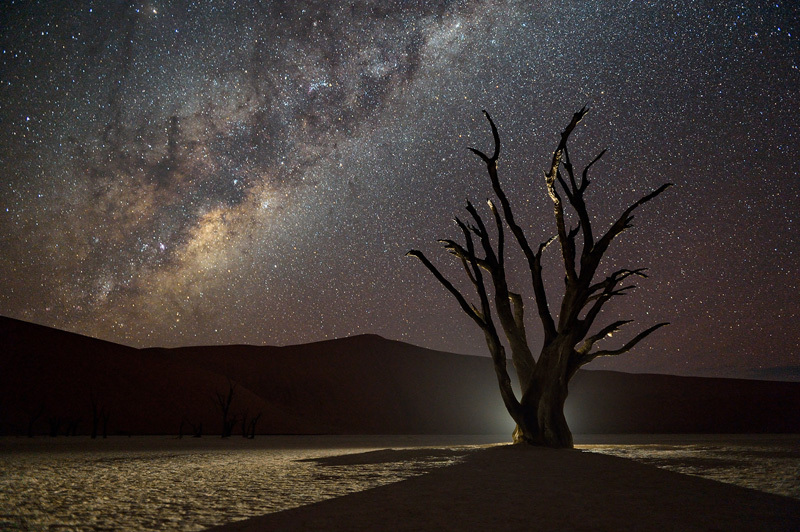 Shot at night during the making of the Namibian Nights time lapse movie. I used a flashlight to create the first backlit night image ever photographed on this location.